The Mazda auto manufacturer introduced its new models in Japan before the official debute in the U.S. 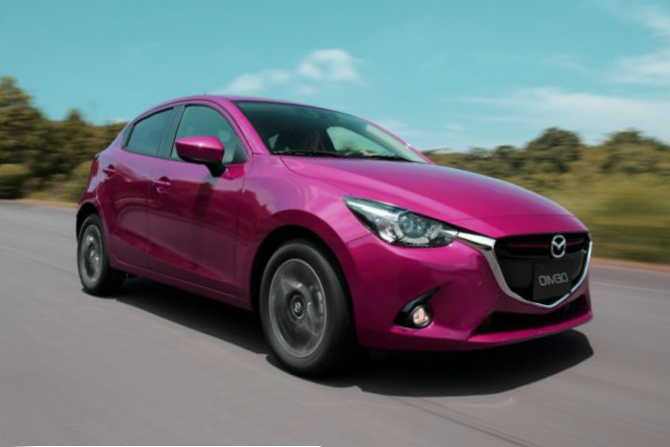 The new Mazda 2 comes on the market as a model of 2016. In Japan, we know this model as the Mazda Demio but in the U.S. auto market, the novelty will appear as the Mazda 2 of the fourth generation. The 2016 novelty is based on the Hazumi concept that was introduced this year. According to the carmaker, the brand’s design KODO is used in the novelty’s design keeping stylish Mazda’s lines. Mazda redesigned the car’s interior. Inside, the novelty does not have any physical buttons, all functions are controlled by the rotary dial, which is below the gear level. The digital display located on the top of the dashboard, provides information. The Mazda 2 of the 2016 model year is equipped with the brand’s connect infotainment system. According to the Mazda auto manufacturer, the novelty is equipped with the totally new SkyActiv technologies, which include the fuel efficient powertrains, lightweight and a stiff body. The novelty will be available with the 1.3-liter gasoline SkyActive engine and the 1.5-liter diesel SkyActiv-D. Unfortunately, the U.S. customers will be offered only with a gasoline unit.